Do Jong-hwan’s poems have been translated into English for the first time in “No Flower Blooms Without Wavering,” a bilingual compilation of the popular poet’s most recognized work. Overall, the translation stays faithful to the text, never veering too far from the literal definition. The book is divided into four chapters, each containing poems that center on similar themes, which include stars, rain, trees and time. Do’s poems are characterized by their unaffected descriptions of love, sadness and the fragility of emotions, as well as a sense of determination. He is best known for “Hollycock You,” a collection of poems published in 1986 that brought him both fame and critical acclaim. The poems in the book are dedicated to his wife, who passed away two years after the couple married. 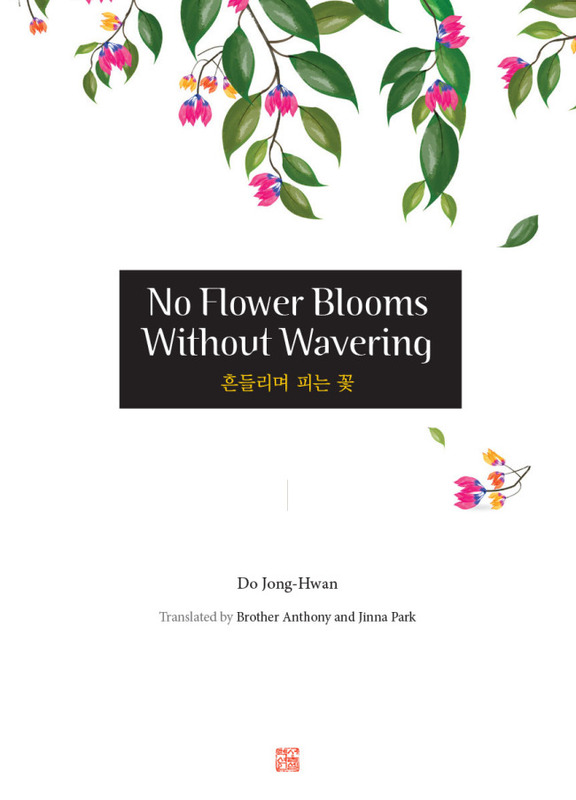 “No Flower Blooms” has been translated by Brother Anthony, a member of the Taize monastic order based in France who taught English literature at Sogang University for 30 years, and literary translator Jinna Park. Do, a lawmaker in The Minjoo Party of Korea, is running for reelection to the National Assembly in the upcoming general elections.